Current Club: Paris Saint Germain (on loan from AS Monaco). International: France 8 caps 1 goal. Trophies Won: 2016-17 French Ligue 1 Champion, 2016 European U19 Champion. Just 18 years old but already valued at such a ridiculously high price that PSG needed to find a way to afford to sign him under FFP regulations. What they have ended up doing is taking him on loan with an option to buy at the end of the loan. Putting aside the legalities and technicalities, it just shows how good the teenager is that the Qatari-owned club have gone to so much trouble to clinch his signature when they already had Neymar. In fact, in my opinion, Mbappe is the outstanding talent I have seen at his age in the last 20 years or so. When you watch him play, the first thing you notice is the way he moves, it is so smooth and he flows over the ground rather than runs. Mbappe is lightning fast too, not just quick but also has an explosive initial burst of pace to get up to speed before defenders have time to react. He also has the ability to use that pace to beat a man on the dribble, as he shows him the ball then whips it away and is gone. On the ball Mbappe has excellent technique and close control, with a well controlled and accurate shot that has the power to trouble a keeper even from long ranges. Tall and having a good leap he is able to win headers, but he has yet to develop the strength and control needed in the air. Often Mbappe will find he is easily moved under the ball by a defender and so unable to direct a header. That is probably his main weakness, that lack of genuine strength but that should come over time. 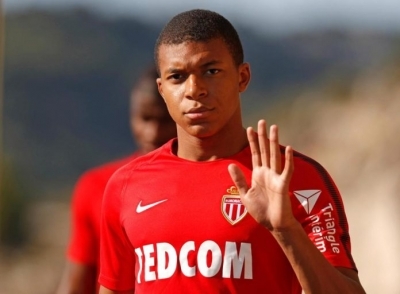 Mbappe's other weakness is his lack of experience meaning he does not always make the best of decisions, which again is something that should improve as he grows older. All of which suggests, if he continues to improve the way he should, that he will be a future Ballon D'Or winner.